Welcome to the Clique Kits Pep Rally! 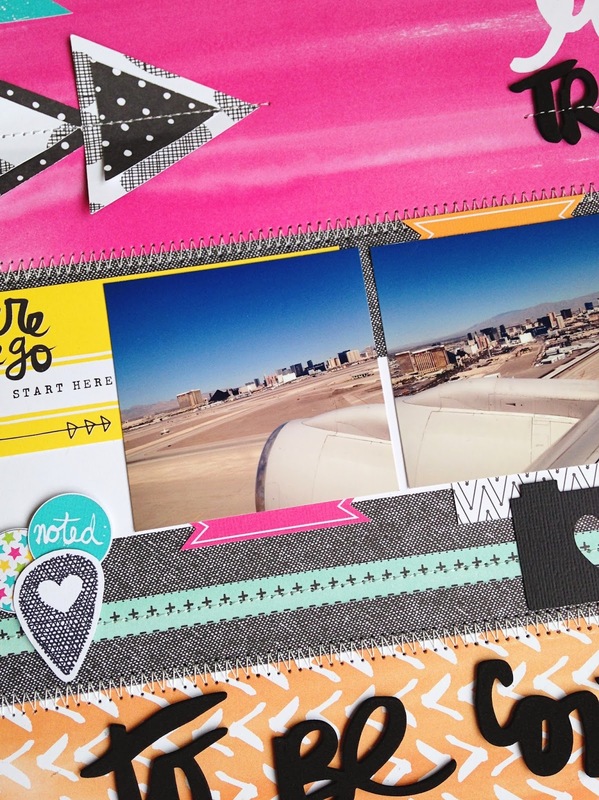 Along the hop you'll find lots of gorgeous projects made with the April kit Debutante. For this blog hop we all share a little bit about ourselfs to get to know the person behind the project a little better. A very important part of my life is traveling, I love to see and explore many parts of the world. It is also the perfect way to escape from reality and having nothing to worry about, it keeps me sane! Because of all the traveling I have seen so many airports, but McCarran International airport in Las Vegas is my favorite. I love how close it is to the Strip, which gives you a perfect view when you arrive or leave. The last time I left Las Vegas I decided to take some shots during take off. The title 'to be continued' is because I'm 100% sure I'll be back here! Now it's time for you to check out what my Clique friends have created, so here's your hop list. If you're not a subscriber at Clique Kits, you can sign up here to not miss out on any future kits. Very neat layout and a fun and different subject to document! This is AWESOMe Danielle!! I love the pops of color, the beautiful pictures, the layers and the sewing! Very inspirational! Thanks for joining us today and sharing such an awesome layout! Great layout! Love the little stitching details! LOL I can't handle a sewing machine either, I break needles faster than you can count ;-) All stitches on my projects are done by hand. WHAT??!! Seriously even more amazing now that I know that! Great layout Danielle! I love the stitching and the photos! And the triangles you created are great! I love your style and design! So excited to have you join us this month! I am totally with you on the love of traveling! I am seriously going to visit you in the Netherlands someday LOL! (And of course hope to see you in Hawaii sometime!) As for airports- they are my second home. This layout is perfect! It has been a great pleasure having you be one of our guest designers this month and we are soooo lucky we get to keep you on as a member of the Clique too. Wow! On the stitching... I love photos at the airport! 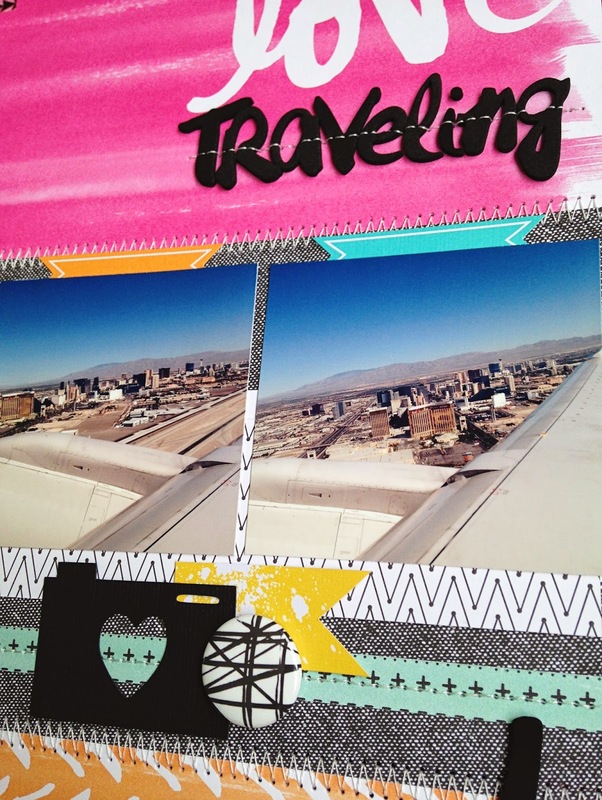 I love traveling as well and hope to maybe get in a flight at some point over the year! OOO one of my besties from High School is from the Netherlands! Amazing layout Danielle - wow!! And I totally agree about McCann airport .. the first time I visited Las Vegas and the plane started to land I was so excited to see the strip and the casinos off in the distance. A-mazing layout Danielle!! Your sewing is perfection and I LOVE IT!! My sewing usually ends up messy & crazy LOL. I really love those triangles you added with the stitching through them... very striking! Thank you for joining our Clique Kits Honor Society blog share & being one of our Guest Designers this month! You rock! This is beautiful! LOVING the colors!!! I love the stitching and all the colors! I just became a new follower. I love all the detail and stitching that is in this layout! Great photo! I think I have one almost exactly like that! great job using those pictures we all take for the airplane window. Danielle, your layout is so cute....I love all of the elements on your page. The design is and pics are awesome, too!! Great idea for the pics! I love the stitching! Fabulous layout! 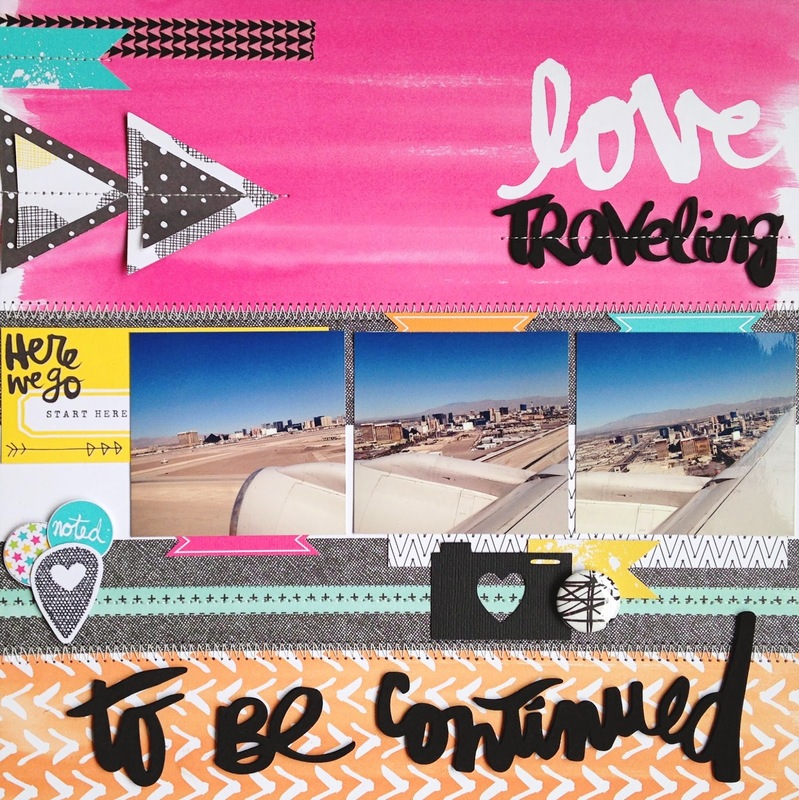 wow-I just love how you used color on this layout-just stunning! great title work too!